Posted by bgo61 in Uncategorized. 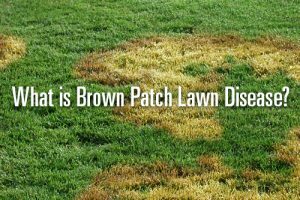 Brown Patch: If you live in a region with hot temperatures and high humidity, you may find your lawn infected with brown patch lawn disease. Brown Patch lawn disease is a common and widespread problem caused by Rhizoctonia solani fungus. The disease can infect a variety of common turf grasses but the most susceptible grass species include perennial ryegrass, tall fescue, and the bent grasses. Large Patch: They are most common in the spring, when grass is growing. Large patch disease is caused by a soilborne fungus called Rhizoctonia solani. This fungus is very similar to the one that causes brown patch disease. Large patches of blighted turf that may exceed 20 feet in diameter. The disease occurs on both residential lawns and golf courses, or soil drainage is poor. Pythium Blight: It is evident that during warm, humid weather and the grass leaves are wet for at least 12 hours. Initial symptoms appear as dark green to purple water-soaked leaves that aggregate into circular or irregularly shaped patches in turf grass swards. These patches can range in size from 1 to 20 cm (0.4 to > 8 in.) in diameter. Patches of infected grass can enlarge and coalesce, causing severe damage to lawns, golf courses and athletic field turf. Pink Snow Mold: The “Cold attacking fungus”. This disease attacks plants and turfgrass when there is snow covering it. There are two different types of snow mold fungi that can infect grass and they can occur together on a plant. The symptoms for both diseases can look similar. 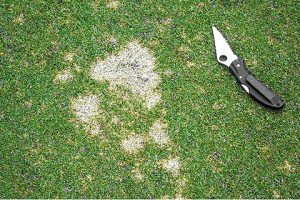 There are no turfgrass species that are completely resistant to these snow mold fungi, but some turf species are less susceptible than others. Removing lawn grass molds are a totally different story. You are going to need the right yard removal team that can get that removed. Rehab homes or REO properties (bank owned homes) are typically where you mind the most yard disease. The neglected yard will be the first vision potential buyers will see. It is best to completely remove the grass to have a new grass look and to avoid potential fungus. For more information and full article click here.